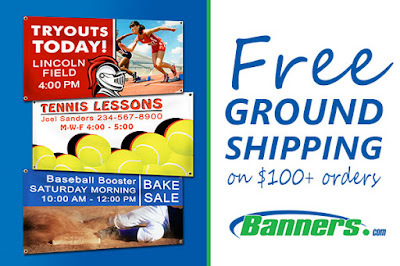 Mention promo code "FreeShip0316" to get free ground shipping on orders of $100 or more at Banners.com. Hurry, this offer is only valid through April 1, 2016. Please visit our website for more information on the free shipping offer, and to get started on your order. You can customize a template in our online designer, upload your own artwork file, or work with a graphic designer.